Connecting your co-hosted Airbnb listing to Tokeet via Airbnb API (NEW) requires a few additional steps for completion. 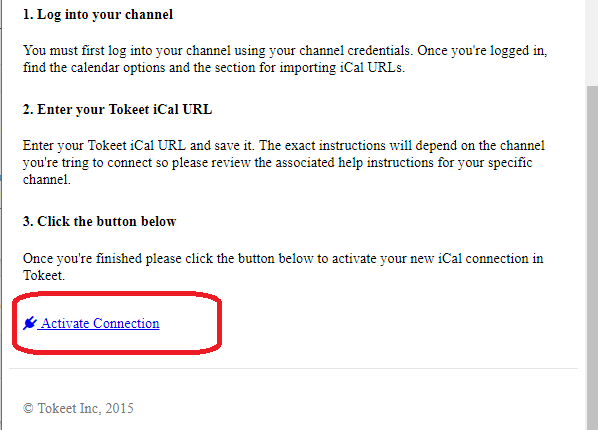 Click the green Add Channels button and select Unknown from the pull-down menu. 5. Click Add Export and select your rental. 7. Scroll down and click Activate Connection to finish. 9. 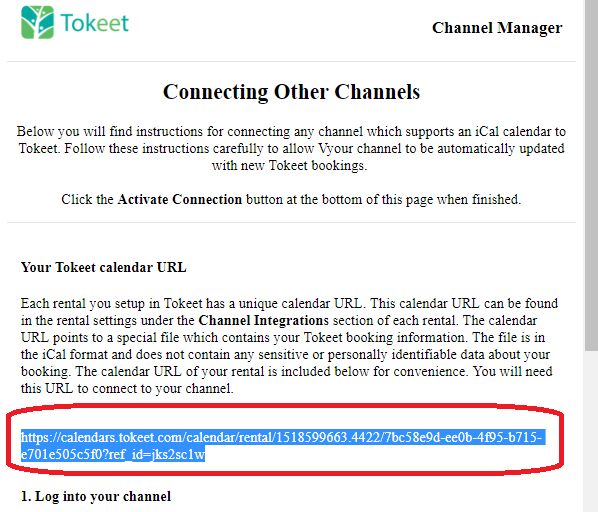 Paste your Tokeet calendar URL here, add a Name and click Import Calendar. 10. Your co-hosted Airbnb listing will not be able to push availability from Airbnb to Tokeet. Booking imports will still be performed via API. 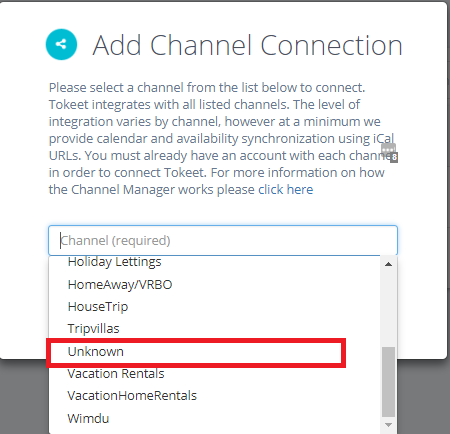 In order to maintain communication with guests in co-hosted Airbnb accounts, you will need to click on the Live Chat button in the bottom-right corner of your Tokeet account, and provide us with your Tokeet Account ID, and your Airbnb property ID. I have a co-hosted Airbnb account, and I need to add my account to your mail service. My information is below. Our team will send a confirmation reply once the update has been made, and your messaging will resume through Tokeet for any co-hosted listings on that account.